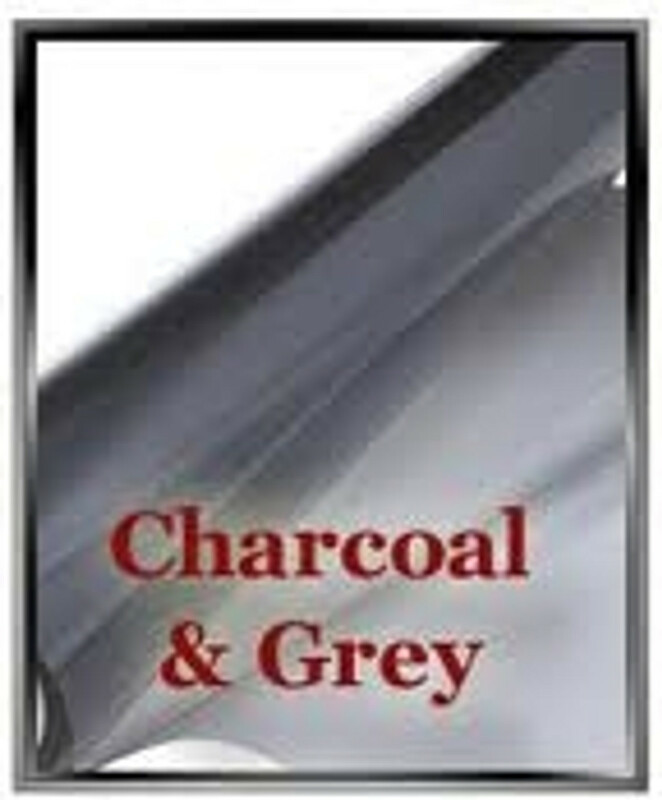 Apex Window Films' DIY solar control window films and tints in the cateegory Charcoal and Greys are grey-hued window films. This films are typically chosen for their lower reflectivity values. Charcoal and Grey solar films block heat and damaging UV rays. These film offer terrific glare-blocking properties, that will make it easier to view electronic screens and monitors without drawing the blinds. Many of these films are rated 'LR' or note 'Low Reflectiveity' in their descriptions. These films less reflective than other solar control films making them sought after for residential DIY projects. Some other solar films tend to be quite reflective on the outside during the day, and reflective on the inside at night when lights are on. You might choose an LR version (low reflectivity) of charcoal and grey tone film, therefore, if you have a window with a desirable night time view, such as a cityscape or harbour lights. Check the specific film specficifaction for lower refletivity values if this is important to you! If low reflectivity is your main objective, you may also consider browsing our Neutral and IR-Blocking Films Category. This line also includes our new STAR series of Champagne-toned solar films.